The performance of precise, repeatable measurements with consistent results is a cornerstone of the scientific method across every academic or industrial sector. Whether experiments require heating elements or evaporators, laboratory equipment must be of the highest standard to ascertain accurate results in various research, commercial, and industrial environments. Block heater; utilizes well plates for the automated heating of bottles varying in size, with a maximum operating temperature of 125°C. Our heaters can be tailored to set specifications for varying applications, with heating tapes and hotplates also available to customized requirements. Modular Mixer: for application-specific purposes with a comprehensive platform integration and high-torque stepping motors for precise control of motorized actions. 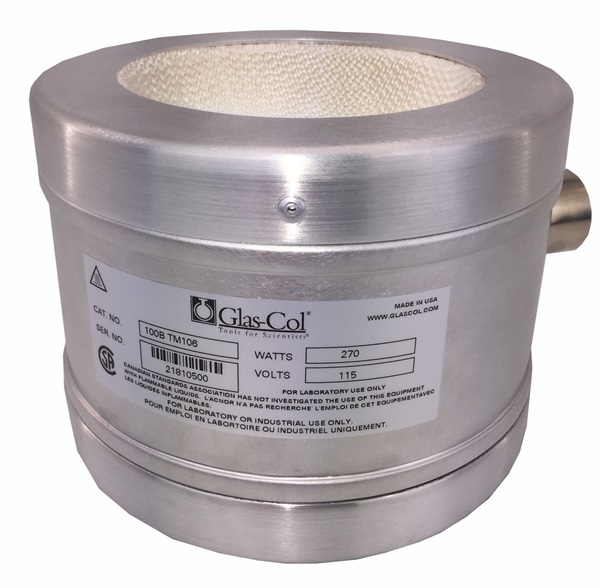 Glas-Col also carry vortexers and overhead stirrers with exceptional specificity to distinct sector requirements. Heated evaporators: with a temperature point of up to 100°C for the liquid removal from a sample. Our evaporators are also available with integrated analytical systems to streamline systematic processes and reduce the footprints of integral laboratory equipment. At Glas-Col, we have designed laboratory equipment capable of performing in-depth simulations of the inhalation of contaminants for the analysis of lung infections. These systems allow for the concentration of airborne pathogens and the replication of real-world conditions to accurately assess biological exposure to pathogenic microorganisms. Glas-Col has an established history in the innovation and production of laboratory instrumentation for a broad range of scientific applications. If you would like any more information about our laboratory equipment, please do not hesitate to contact us.